Join us for a day of creative floral design at Aster B. Farm in Essex, Massachusetts. 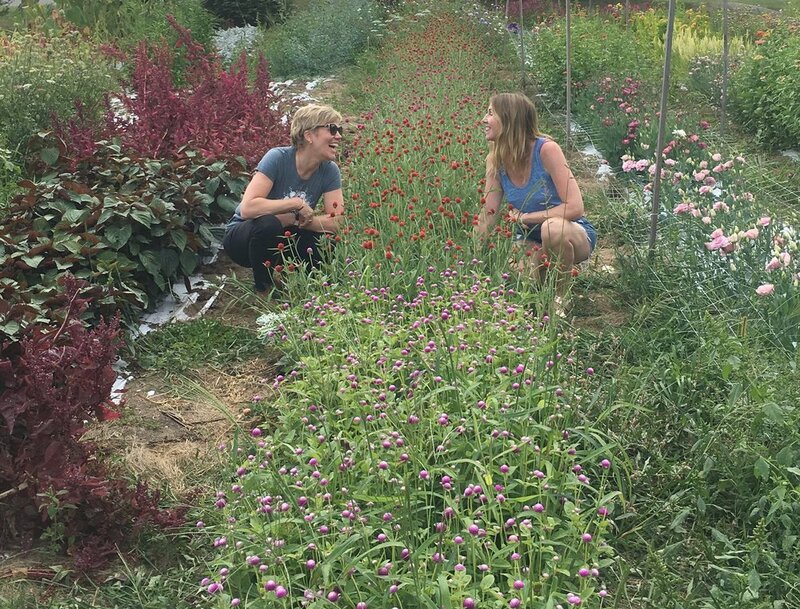 Enjoy a tour of the flower fields with owner Melissa Glorieux, followed by a colour discussion and design demonstration by Christin in the newly restored 17th century barn. After the morning workshop and a locally-sourced lunch, Joshua Werber will lead a floral headpiece class. A photographer will be onsite to capture your two creations. All materials supplied. No experience necessary. About Joshua: Drawing from the natural world, Joshua Werber's work is an exploration of emotion through the act of creation. His work is driven by a desire to create unique pieces and environments through which the participant can experience transformation. His work has been featured in The New York Times, T Magazine, Martha Stewart Weddings (social media), and the New York Post. Recent events and clients include, Highline Hat Party (2018) and The Brooklyn Botanical Garden Gala (2018), Rhianna, Miu Miu, Club Monaco, Opening Ceremony, Mel Ottenberg and T Magazine. Werber is also featured in the forthcoming book, “Blooms: Contemporary Floral Design” published by Phaidon Press. Details: The class will run from 10am-4pm. Aster B Farm is approximately an hour north of Boston and minutes from the beautiful beaches, marshes, and antique shops of Cape Ann. Lunch and refreshments will be provided. Investment: $500 USD Please note: This site only accepts Canadian dollars, valued at about .75 dollars US at time of posting, so the amount listed on the shop page is $625 CDN. Register here.